Everyday life can be hectic and small details often get missed - but a staggering 95% of households have ‘no idea' which of their rubbish bins are due to be collected each week, waste disposal experts BusinessWaste.co.uk have found. The survey conducted by BusinessWaste.co.uk, which polled 1,400 households, showed that the vast majority of households could not remember which of their bins was due to be collected that week - and an entertaining number of respondents admitted to resorting to ‘Bin Chess' to find out. Kelly, 38, from Bristol, laughed: "It starts on a Sunday evening - you can see people popping their heads round their curtains seeing if anybody's made the first move yet so that everyone else can follow suit." While it might sound like something from a spy film, this is much less glamorous than James Bond - instead, hapless residents are lying in wait for their (hopefully more knowledgeable) neighbours to indicate which bin needs placing by the kerb for collection. Macclesfield resident Stuart, 46, said it occasionally resulted in a stand-off, adding: "Sometimes you know it's going to be a long night when nobody's made a move by 9pm!" 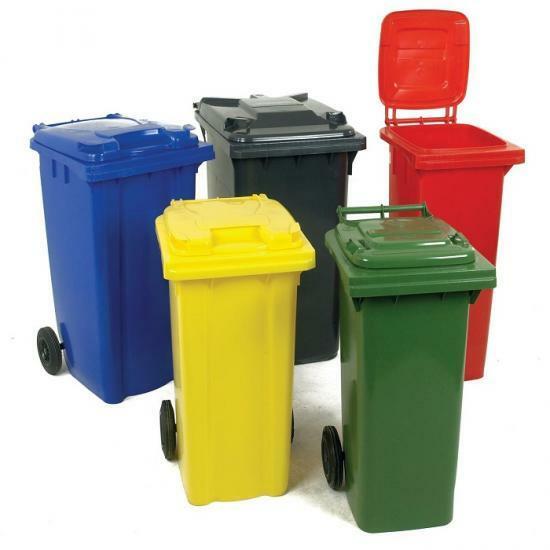 Mark Hall, spokesperson from BusinessWaste.co.uk, said:"In many places, each type of bin is only collected once a month - so while it might be easy to forget in our busy day-to-day lives, we could find ourselves with much bigger problems down the line. Piling black bags next to our jam-packed bins is a magnet for local cats, foxes, and rats, not to mention unsightly, and many local authorities will refuse to collect extra bags of rubbish from the kerbside." When asked what they do with excess waste due to forgetting the bin collection date, survey respondents had mixed responses. Some, like Anna from Chiswick, said they waited until they could get to a local tip. She added: "It’s a massive pain, and you end up carting smelly leaky bags in your car – I hate it but I can still never seem to remember to take the bins out right for more than a few months at a time". Others resorted to more underhand tactics. Ollie, 19, a student in Birmingham, admitted: "We just shove our binbags in next door’s bins when we’ve forgotten to put ours out. After one party we ended up putting about 20 cans in their recycling bin and they still don’t know it was us – well, we hope!"